heat oil in a pan add mustard seed,hing and chopped green chilly for 2 min. Then pour this on grated coconut. Then add little salt in it. 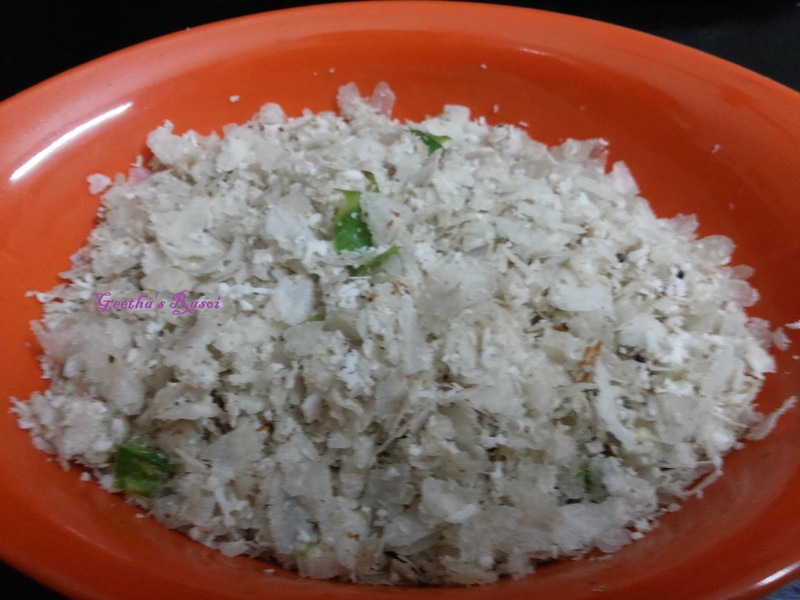 Smash this with hand so all green chilly mix with coconut.then add povu(beaten rice flakes) mix it well. Serve this as snacks with banana.